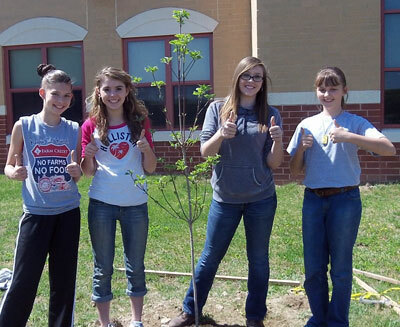 Group photo after a successful tree planting! 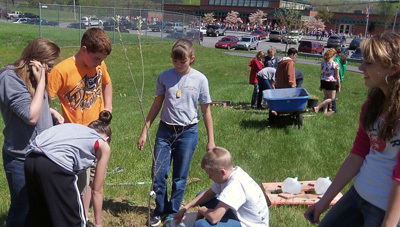 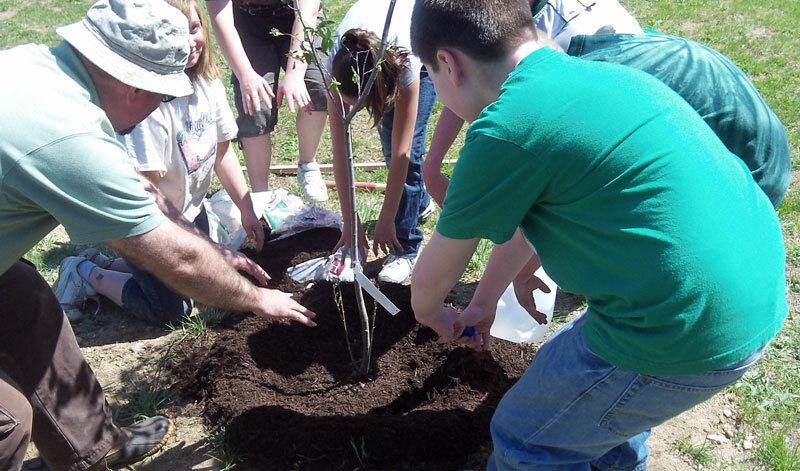 Capon Bridge Middle School was the recipient of a WV Project CommuniTree kit to plant 24 flowering trees that include Eastern Redbuds, Flowering Dogwoods, and Serviceberries. 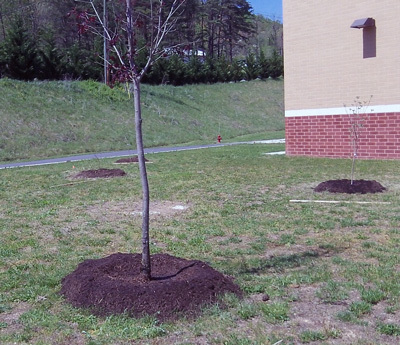 Linda Ford, science teacher, worked with her students to complete the application and organized the project. 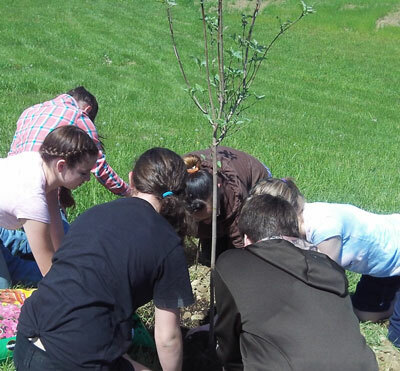 Around 80 students spent their afternoon working hard to plant trees. 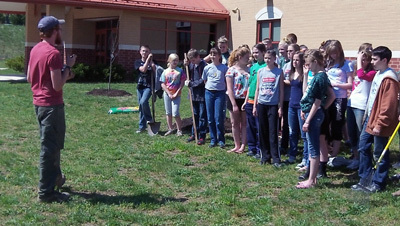 The students learned the proper method to planting trees and the benefits of increasing urban tree canopy. 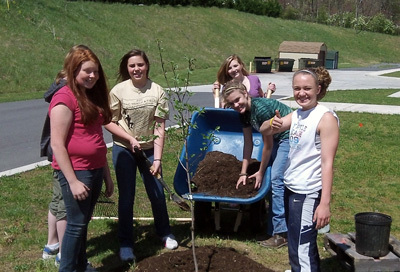 As seen in the pictures, they had a great time and we look forward to working with them again in the future. 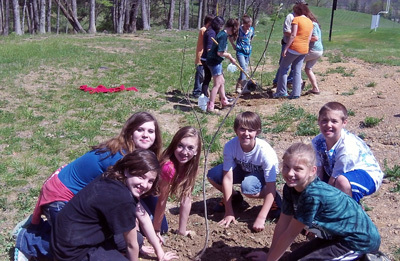 Linda and her students were assisted by CommuniTree Representative Tanner Haid from Cacapon Institute. 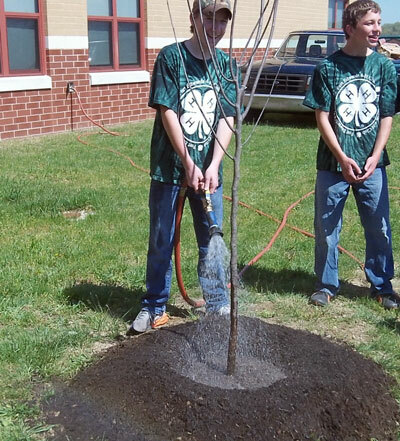 CI’s Frank Rodgers showing the proper mulching technique.